When it comes to getting a shed or Carport on the Space Coast, Superior Sheds in Cocoa is the place to go! This lot has been renovated inside and out to provide customers the best shopping experience! With several styles, colors, and sizes all arrayed by size on the lot, you can easily compare buildings and find one that meets your needs. Plus Superior Sheds in Cocoa offers the widest range of Carports and Steel Buildings in Brevard County. Carolina Carports with their full range of carports and steel structures as well as Orlando Steel who has Florida based manufacturing and Installation. Options and price points to meet any need. 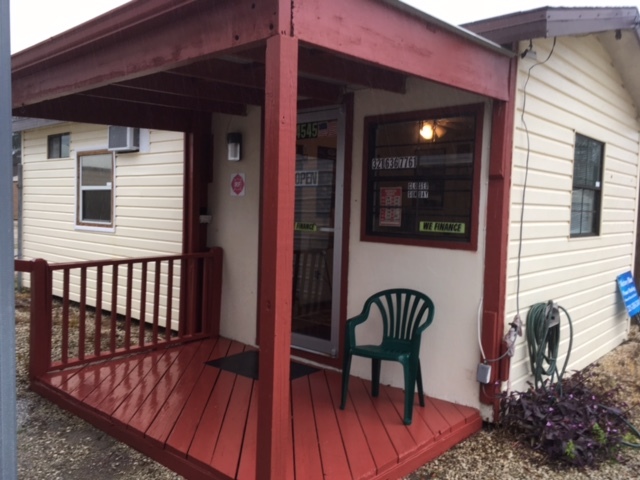 *Shed Sales and delivery plus Carport and Steel Buildings serving Cocoa, Brevard County, East Volusia, East Orange, Sharpes, Port Saint John, Cape Canaveral Groves, Rockledge, Viera Titusville, Mims, Palm Shores, Indialantic, Malabar, Satellite Beach, Micco, Roseland, Deer Park, Melbourne, Rockledge, Courtenay, Merritt Island, Malabar, Palm Bay and Beyond! Sheds by Superior Sheds and Tuff Shed Available at this Location!